A marvellous hike that takes you through a magnificent forest of spruces, larches and Swiss pines. Then, in the upper section, from Lac des Pierres Blanches (where you'll find a helpful orientation table) the panoramic views are outstanding. The first lake is a reservoir designed for the manufacture of cultured snow. Lac du Carroley nestles in a beautiful spot where water, rock and flowers commingle. Drive to les Bauches (6 kilometres beyond les Coches). Leave the car in the parking area opposite the bridge. From there, follow the road (P) that runs beside a narrow canal (Bief) as far as the stone basin at Esselet (P). Turn left and go up the trail (P) through the forest until you reach a small plateau (P). Cross the plateau and follow the trail that takes you to the forest road (P). 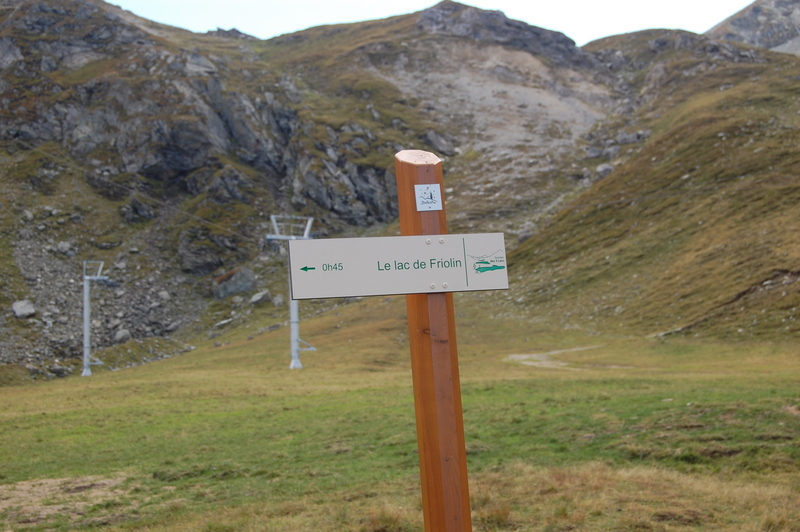 Head left for 200 metres, then take the trail to the right (P). The forest becomes a giant garden adorned by spruce, larch and pine trees. The path then opens out onto a plateau (P). Turn to the left, across the 350 metres of the plateau, and then go up slightly to the right to arrive in a vast meadow (P). Take the stone path up the grassy slope to the little road (P). On the right, you will see a chalet. Go around it to the right to discover le Lac des Pierres Blanches. Go back about a hundred meters up the old track to a wide crossroads (P) and then to the right across a field. The path veers to the left (panel) to pass through a flattish area that alternates between meadows and plantations of small trees. 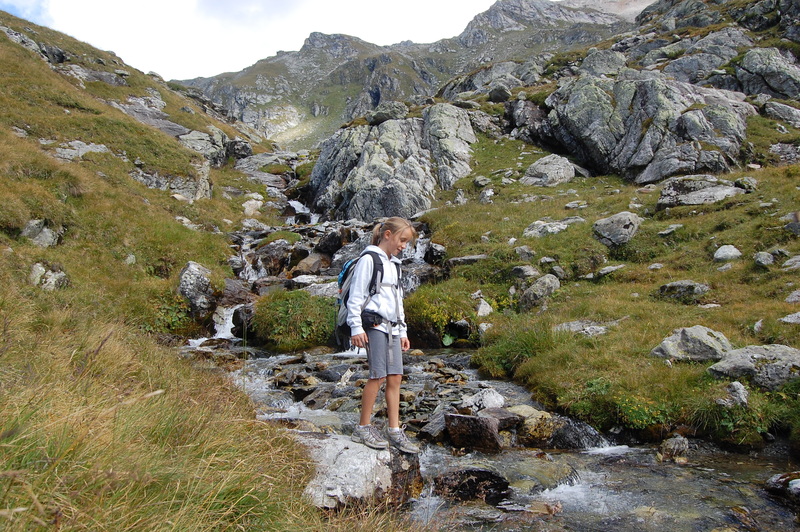 It takes 30 minutes to reach Lac du Carroley, at the foot of a scree. The return journey takes you to Chalet du Carroley in 15 minutes (P), then follows the narrow road that, in 45 minutes, takes you back down to the parking area in les Bauches. 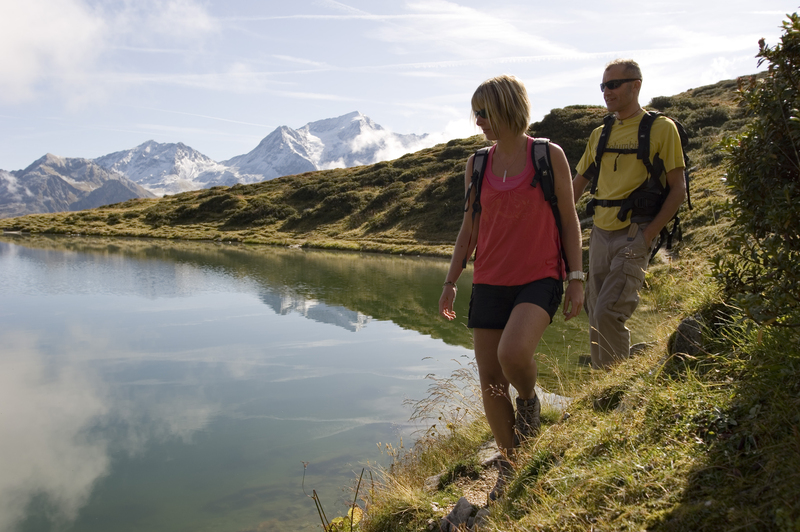 This hike requires some experience, but you will be rewarded with tranquility, flora, marmots and the beauty of the lake.